Alexander Justham ("JJ") has been CEO of the London Stock Exchange plc since June 2012. In this role, JJ oversees information services and capital markets products within LSE plc, including the UK primary markets business. He is also responsible for regulatory strategy, government and public affairs, and UK regulation across the entire London Stock Exchange Group. Before joining the London Stock Exchange Group, JJ served as Director of Markets at the Financial Services Authority (FSA) between 2008 and 2011. During his time at the FSA, he represented the UK on the Board of the European Securities and Markets Authority (ESMA), and its predecessor organisation CESR. He co-chaired the G20 IOSCO task force on commodities, and also chaired the OTC Derivatives Regulators’ Forum. He received an award for Best Personal Contribution at the 2011 Financial News awards. Prior to joining the FSA, JJ was a Managing Director at JPMorgan. He had worked for JP Morgan since 1989, holding a variety of roles including Co-Head of the Financial Institutions Group at JP Morgan Cazenove and Co-Head of Structured Finance, and Head of Securitisation at JP Morgan. JJ holds an MA in Mathematics from Magdalene College, Cambridge. Ruben Aganbegyan was appointed CEO of Otkritie Financial Corporation in October 2012. Before Otkritie, Mr. Aganbegyan headed MICEX (from September 2010), leading it through the effort of merging with RTS in 2011. The merger resulted in the establishment of a new market institution that has become an international trading centre. In 2003-2010, Mr. Aganbegyan was in charge of Renaissance Capital’s Russian business, where he was responsible for expanding and strengthening relationships with key customers and oversaw public relations and liaison with state authorities. In 2002-2003, he served as Managing Director for Project Financing and Head of Investment Banking with Troika Dialog. In 1997-2002, he was Co-head of Credit Suisse First Boston in Russia. In the 1990s, he worked for such companies as PriceWaterhouse, Clifford Chance and Credit Suisse Financial Products (Moscow). Mr. Aganbegyan graduated from Moscow State Law Academy in 1995. Mauro Ratto is Head of Emerging Markets. In this role, he is responsible for leading a highly skilled investment team working on debt and equity strategies that covers Asia, Latin America, Emerging Europe,the Middle East and Africa. Prior to his current appointment, Mauro was Head of Investment Management Europe and Asia. In this role, he was responsible for Portfolio Management and Trading teams across emerging as well as developed markets concentrating on fixed income, equity, absolute return, balanced and fundamental research, as well as single strategy hedge funds. He is a member of the Global Investment Committee and is a director of Pioneer Investment Management Limited. A guest lecturer at the faculty of Political Economy of University of Genoa, and an Economics graduate of the same university, Mauro has been part of Unicredit S.p.A, which owns Pioneer Investments, since 1989. In 1998, he moved to Dublin to join Pioneer Investments as Head of Global Portfolios, later adding Fixed Income to his title. He was Head of Portfolio Management, Europe (2002-2004), before taking on the role of Head of Investment Management Europe and Asia. As deputy head of primary markets Jon Edwards helps to oversee the work of London Stock Exchange’s Primary Markets team in the CIS and Asia Pacific regions. Jon is personally responsible for developing the London Stock Exchange's business in Asia Pacific, the CIS regions and Mongolia, spending a majority of his time working with companies, advisors and regulators in the region interested in London Stock Exchange markets. Jon and his teams in London, Hong Kong and Beijing work to promote both Main Market and AIM listings and work with companies to increase their profile among London’s investment community. Mr Edwards studied at Columbia University where he received his BA degree in Russian studies and joint JD/MBA degree in business and law. He joined the London Stock Exchange in August 2003, before which he worked on private equity transactions for Incepta Ventures UK Limited, Delta Capital and BNP-Invest. Mr Edwards has fifteen years of experience working with international companies in the natural resources, consumer products, real estate and TMT sectors. Vedrana Jelušić Kašić was appointed the EBRD Director for Croatia in June 2013. Coming from EBRD London Headquarters to EBRD office in Zagreb in 2005, Vedrana Jelušić Kašić was responsible for the Bank's agribusiness activities in central and south-east Europe managing investments in food, drinks, retail and packaging. Since joining the EBRD in 1998 she has completed over 40 transactions exceeding EUR 1 billion in fourteen countries of South East Europe, CIS and Russia. Ms Jelusic has led the projects with the key regional and multinational Corporates including Croatian Agrokor, Dukat, American Bunge, Swiss Vetropack, French Pernod Ricard, Austrian Spar, Serbian Victoria Group, MK Group, Slovenian Droga Kolinska. As the EBRD Director from Croatia, Ms Jelusic Kasic is responsible for the Bank’s activities in Croatia including the business development, financing of the new projects and the institutional dialogue for strengthening of the institutional framework which among others included the support for the introduction of Factoring law as well as the Geographical indications for certain food products in 2013. Vedrana Jelušić Kašić is a member of the Supervisory Board of Croatian Atlantic Grupa as well as a former member of Victoria Grupa, largest agribusiness group in Serbia,Tikveš, the wine producer in FYR Macedonia and of VF Komerc, at the time retail chain in Bosnia and Herzegovina. Vedrana Jelušić Kašić joined EBRD’s headquarters in London in 1998 as the Analyst for Ukraine, Romania, Croatia, Bosnia and Herzegovina, Belarus and Moldova. Prior business experience was accumulated at Raiffeisen Bank in Zagreb, Merrill Lynch Private Client Group in Boston, the Croatian National Bank and the Central Securities Depository Agency Monte Titoli S.p.A. in Milan. Miodrag Kostić, the president of MK Group, was born on August 25th, 1959. He graduated from the Faculty of Economics at the department of Information Technology in 1983. Upon graduation, he started his journey into the world of private entrepreneurship - a journey that has been a very successful one for the past 30 years. Miodrag Kostic is one of the top businessmen, not only in Serbia, but in the region as well. He currently chairs one the largest vertically integrated agricultural corporation in Europe. MK Group is a system which currently consists of 35 companies and employs more than 4,500 workers in Serbia and Ukraine, and is one of the companies that form the backbone of the domestic economy. Besides agriculture, the company is involved in sugar and meat industry, tourism, renewable energy sources, real estate etc. Mr. Kostic is the president of the Management Board of AIK Bank, a member of the employers association "Poslodavac", the President of the "Privrednik" club and the "Serbian-Belarus business council,'' apart from membership in numerous local and international business associations. Additionally, he received awards such as "Business Personality of the Year", "The Most Successful Person in Vojvodina", "The Most Successful Entrepreneur", etc. The company is especially proud of the awards received for its contribution in the field of corporate social responsibility such as "Hero Company" for the donations in the humanitarian action "Struggle for babies" and the reward "My choice" for the construction of youth house in the SOS Children’s village. Matej Runjak, was born on 15 February 1977 in Slovenia. In 1995 he graduated from High School and continued education at University of Ljubljana, Faculty of Economics and 2002 graduated with a major in Banking and Finance. After graduation he was employed as Chief Financial Officer and as a HR manager in the company Vegrad and Horizont Engineering, Ltd., Germany. In the meantime he has earned MBA at the Johannes Gutenberg-Universität Mainz, Germany. Matej has extensive knowledge and experience in corporate finance and investment banking, as follows: Since May 2013 Matej is a member of the management board at Slovenian Sovereign Holding, d. d., (former SOD, Slovenian Restitution Fund) where he is in charge of the management of capital assets owned by SOD and the Republic of Slovenia and manages the privatization process. He also serves as a chairman supervisory board of Zavarovalnica Triglav, d.d. (Triglav Insurance Company). Mr Runjak speaks Slovene, English, German, Croatian, Serbian and Italian language. Zoran Stanković joined Atlantic Grupa in February 2007 at the position of Group Vice President Finance, and later assumed the company's IT functions as well. During his carreer in Atlantic Grupa he played a key role in the company's IPO at the ZSE late 2007, capital increase preceding the acquisition of Droga Kolinska in 2010, as well as a large refinancing late 2012 in arrangement with the EBRD, IFC and four commercial banks. Previous to Atlantic Grupa, he was working as the Executive Director of Controlling in the Pliva Group, in charge of coordination and supervision of finance in the entire Pliva's corporate network inland as well as abroad. Before his arrival to Pliva, from 1995 until 2003, he worked at Arthur Andersen and Ernst and Young as Senior Audit Manager, where he was in charge of key clients. He is a full member of Association of Chartered Certified Accountants. He graduated economics at Zagreb University. Ivan joined InterCapital Group in early 2004 after graduating from the Faculty of Economics and Business at the University of Zagreb. Since joining InterCapital Ivan was engaged in various projects/positions @ InterCapital incl. heading of a money market & repo desk, FI & derivatives trading and setting up of an equity research department. Since early September 2007 Ivan took full responsibility over equity business at InterCapital setting up foundations for sustainable growth of the business that yielded with c. 25% market share in Croatia in within 5 years’ time (from c. 4% in 2007). From mid-2011 Ivan has been appointed CEO of the Investment company and @ the end of 2011 also CEO of the whole InterCapital Group having responsibility for business development and international sales. Throughout the years @ InterCapital, Ivan actively participated in many international educational programs organized by premier European business schools such as IMD, INSEAD, LSE & IEDC covering topics of strategic management, corporate finance & strategies, valuation, options and futures trading strategies & technical analysis. Areas of his expertise include investment management, Equity, FX & FI trading & corporate finance. Mr. Maxat Kabashev has assumed charge as President of Kazakhstan Stock Exchange (KASE) on March 05, 2014. Prior to being elected as KASE President for the last five years Mr. Kabashev was Chairman of the Management Board of "Alliance Bank" JSC. Throughout his career he held leading positions in the national and private companies of the financial and real sectors of the economy, as well as gained policy level experience in the government of the Republic of Kazakhstan. During the course of 2008-2009 Mr. Kabashev was a Chairman of the Management Board of the "Investment Fund of Kazakhstan" JSC and the Chairman of the Management Board of "Distressed Assets Fund" JSC. Prior to that during 2004–2006 he held leading positions in the "National Innovation Fund" JSC and the "Sustainable Development Fund "Kazyna" JSC. Mr. Kabashev also served as a Chairman and a member of the Board of Directors of the "Investment Fund of Kazakhstan" JSC and a member of the Board of Directors of "Astana-Finance" JSC. Earlier in his career he worked at the Ministry of Industry and Trade and Ministry of Energy and Mineral Resources of the Republic of Kazakhstan that was preceded by an extensive work experience in the national oil and gas companies. Mr. Kabashev holds an MBA from Massachusetts Institute of Technology (MIT) Sloan School of Management. He is also a graduate of technical universities in Russia and Kazakhstan. In 2009 Mr. Kabashev was awarded the Order of Kurmet by the government of Kazakhstan (awarded to Kazakhstani citizens for significant contribution in the fields of economics, science, culture, social issues, and education). Prior to joining Kcell, Trond Moe served as CFO of Mode Group in London, UK. From 2011 to 2013, he was a partner at Eastern Europe Group (Ukraine), consulting foreign investors on strategic risk in eastern European business environments. From 2006 to 2011, he was a country manager at Telenor, Ukraine, responsible for the company’s investments in Ukraine, including the largest mobile phone company, Kyivstar. Prior to that, from 2000 to 2006, Mr. Moe held a number of senior positions at telecoms businesses in several regions, including Eastern Europe and Asia. Mr. Moe holds an MS degree in Economics and Business Administration from the Norwegian School of Economics. Stefan Scholz is a senior investment banker with a successful track record of over 20 years in banking and extensive experience gained at both Dresdner Kleinwort Benson and JPMorgan in the origination and execution of medium and large-scale investment banking transactions across different industries in North America, Europe, the Middle East, Africa and Asia. From 2006 to 2011, Stefan built up the leading local investment banking franchise in Central Asia with activities across Russia, Kazakhstan, Uzbekistan, Kyrgyzstan, Tajikistan, Mongolia and China, closing Advisory, Mergers & Acquisitions, Equity Capital Markets, Debt Capital Markets and Structured Finance transactions in excess of USD12bn and being voted "Best Corporate Finance and M&A Team" and "Best Investment Bank in Kazakhstan" by EMEA Finance Magazine in the CEE & CIS Banking Awards 2009 and 2010. Stefan studied Economics and Business Administration in Germany and the UK and holds a full-time MBA from the Henley Management College. He was a long-standing member of the International Advisory Board to the Agency of the Republic of Kazakhstan for the regulation of activities of the Regional Financial Centre of Almaty (RFCA) and is a regular honorary speaker at major international conferences. James is a partner in Deloitte LLP and has twenty three years of experience in UK and international tax and particularly specialises in tax services to clients in the mining sector. James leads the Capital Markets Tax practice of Deloitte in the UK and advises on the listings of major UK and international companies. Over the last four years James has also been a partner in the CIS firm of Deloitte advising a number of major international businesses headquartered in Russia, Ukraine and Kazakhstan. James has advised a number of CIS based companies on both Premium Listings and GDR offerings on the London Stock Exchange. Mr. Lokhov graduated from Novosibirsk State University and holds degrees of Ph.D. in Economics Carl v. Ossietzky University of Oldenburg and Master of Business Administration (MBA) from Kellogg-WHU Executive MBA program. Prior to BCS, Roman was Head of Investment Banking for Otkritie FC. Prior to Otkritie, Roman was Managing Director of GL Moscow, where he had with responsibility for developing the firm’s eastern Europe business. Roman was a Member of the board OJSC RTS 2009 -2011. Re-joined UFG Asset Management in February 2014 as Partner with the overall responsibility for the UFG Public Markets Funds business, including management of UFG's two main liquid equity strategies, the long-short blue-chip UFG Russia Select Fund and the long-only small & mid-cap UFG Russia Alternative Fund, as well as UFG's hybrid public and private, equities and fixed income strategy, the UFG Special Situations Fund. In addition to this management role, she　supervises　hedging and derivatives strategy in the long-short equity strategy of UFG Russia Select Fund, as well as trading for all UFG Public Markets strategies. Ms. Minkina served as Portfolio Manager at UFG Asset Management from 2007 until June 2013. Ms. Minkina holds a BSc degree in Computational Mathematics and Cybernetics from the Moscow State University. Prior to joining UFG Asset Management, in 2006-2007, Ms. Minkina worked as a Portfolio Manager for the Russian asset management company "Portfolio Investments," where her responsibilities included derivatives strategies implementation and portfolio management. Mr. Westman is based in London, but shares his time between London and Moscow. He has been investing in Russia since 1993 and lived in Russia full-time from 1997-2004. Mr. Westman was a co-founder and Deputy Chairman of Russia’s Investor Protection Association. He has also served on the board of numerous Russian companies - including Lenenergo and Magnit. Prior to founding Prosperity in 1996, Mr. Westman was Director of Alfred Berg/ABN AMRO's Russia department, having been a stockbroker with the Swedish firm H&Q. Before that he served on the Russian desk of the Swedish Ministry of Foreign Affairs, having learnt Russian with the Swedish Armed Forces. Mr. Westman has a Master of Science in Business Administration and Economics from the Stockholm School of Economics. He is from Sweden. Muammer Çakir is the Head of Derivatives Market (VIOP) at Borsa Istanbul. Prior to joining Borsa Istanbul, Çakir served as Executive Director of WestLB London. He joined Borsa Istanbul, after serving as the Head of Turkey Desk at the Debt Capital Markets of WestLB London. He is currently responsible for establishing the multi-asset derivatives platform at Borsa Istanbul. His first job was at a convertible arbitrage/stress debt hedge fund in the United States. Upon joining Borsa Istanbul, Çakir launched the first listed single stock futures & options market, and later on the first Index & FX Options products at Borsa Istanbul Derivatives Market. He was appointed as the CEO of Turkish Derivatives Exchange (TurkDex) during the acquisition and merger of the two exchanges. From 2002-2008, he was the head of derivatives market at the Capital Markets Division at Akbank where he developed the derivatives & precious metals business. Çakir holds a master’s degree in financial engineering from Princeton University and he is a Fulbright fellow. Toby Bayliss is Head of Bernstein's Algorithmic and Portfolio Trading Desk in Europe. Toby began his financial career as a graduate at Nomura London in 1995, and spent 4 years working alongside the Equity Sales force as a Quantitative Analyst. Joining Citigroup in 1999 to be a founding member of the Global Portfolio Trading Strategies Team, Toby worked on all aspects of portfolio construction, risk, execution analysis and trading strategies. In 2002 Toby moved internally to the Alternative Executions Sales team, responsible for sales and sales trading of Portfolio Trading, Algorithmic Trading, DMA and Trading Strategies. In 2007 Toby became head of Citigroup's Electronic Execution Sales team in Europe before assuming his current role at Bernstein in 2008. Toby received a Bachelor of Science degree in Engineering Mathematics from Bristol University and a Master of Engineering in Petroleum Engineering from Heriot-Watt University. Velihan is a Portfolio Manager at FFTW and is based in London. He manages external and local corporate strategies across the portfolios for the Emerging Markets Fixed Income portfolios. Prior to his current role, Velihan conducted external and local corporate debt research for BNP Paribas Investment Partners for the Emerging Markets Fixed Income Team. Velihan, has previously worked as a research analyst in the Dutch Equities Team at BNP Paribas Investment Partners. Velihan holds double major degree in economics (BS) and political science (BA) with a focus on Comparative Politics from Duke University. Cag Guner, Director, is a member of the UK Asset Manager & Hedge Fund coverage group within iShares EMEA. He also leads BlackRock’s business development initiatives in Turkey. Mr Guner joined BlackRock from Credit Suisse in July 2013. At Credit Suisse, Mr Guner held a number of roles in the alternative investments division including portfolio management and distribution within the single manager hedge funds and exchange traded funds businesses. Prior to joining Credit Suisse in 2006, he worked as a senior associate within the transaction services and corporate finance division at PricewaterhouseCoopers in Istanbul. Mr. Guner earned a BS degree, in Economics, from Middle East Technical University in 1999 and an MS in Finance from London Business School in 2005. Mr Guner also holds the CFA UK Level 3 Certificate in Investment Management. Nicolas Bertrand is Head of Equities and Derivatives for London Stock Exchange Group. Appointed in 2010, Nicolas is responsible for UK and Italian equity markets and the Group's derivatives markets. Nicolas joined Borsa Italiana in November 1999 and has been responsible for IDEM, the Italian Derivatives Market of Borsa Italiana, since January 2004. In July 2009, Nicolas was appointed head of the newly created 'Equity Markets and IDEM' division within the London Stock Exchange Group, which combined the equity cash and derivatives markets for Italy and the UK. He is also a board member of FTSE and Turquoise. Prior to joining the Exchange, Nicolas worked for Citibank and developed his expertise trading on various markets and asset classes. Nicolas graduated in econometrics and holds a postgraduate degree in finance (DESS 203) from Universite Paris IX-Dauphine in Paris. At the core of Societe Generale’s universal banking business model, the Corporate & Investment Bank is a well-diversified and leading player with nearly 10 500 professionals present in more than 31 countries across Europe, the Americas and Asia-Pacific. As a group we have a strategic focus on the CEE region, having extensive operations across almost all of the countries in the region: ranging from retail and corporate banking to capital markets and advisory, and to local research & sales platforms. The group operates either directly as SG CIB or via local banks, such as Komercni Banka (Czech Republic and Slovakia), BRD Group (Romania), Ekspresbank (Bulgaria), Bank Republic (Georgia), Splitska Banka (Croatia), SKB Group (Slovenia), and others. In Russia, Societe Generale has been present since 1872, and our　wholly owned subsidiary Rosbank is the largest foreign investment into the country’s financial sector. Ranking 2nd in ECM league tables in 2014, the bank led a number of flagship transactions in the region, including the largest ever IPO in Romania (€444m Electrica), first ever exchangeable bond in CEE region (€470m of Cez into Mol) and the 4th largest Rights Issue in Poland to date (€240m Grupa Lotos). Bank of America is one of the world's leading financial institutions, serving individual consumers, small- and middle-market businesses, large corporations and governments with a full range of financial and risk management products and services. Bank of America Merrill Lynch is the marketing name for the global banking and markets businesses. The company is a long-established participant in EMEA with a presence since 1922. With offices in 23 countries on three continents, it offers an integrated and comprehensive set of products and services across Global Corporate and Investment Banking, Global Markets and Consumer Card, serving the needs of individual, corporate, institutional and government clients, combining the best of local knowledge and global expertise. Developing solutions for social and economic challenges is at the core of Bank of America Merrill Lynch’s responsibility platform. In more than 90 countries around the world, we partner with employees, clients and stakeholders to help make financial lives better. Deutsche Bank offers a wide range of risk management, investment and trading products that use derivatives linked to Turkish shares to help clients manage their risks and express their views. It has been providing these products to institutional clients since 2005 when the first derivatives products were introduced by Turkish Derivatives Exchange in Turkey. 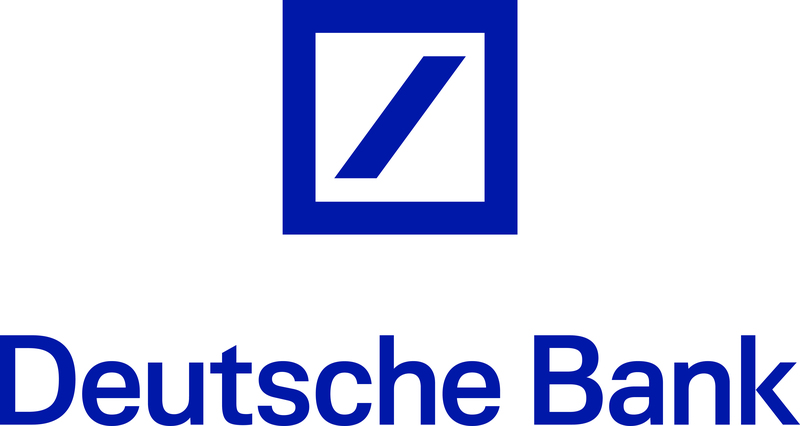 Deutsche Bank, through its wholly owned local subsidiary was the first member of this exchange. Deutsche Bank was also the first institution to issue equity warrants and certificates on Borsa Istanbul in 2010. As a leading international business communications consultancy, Instinctif Partners combines strategic and creative thinking to help our clients engage with and influence their key stakeholders. We understand the power of reputation in a world where reputations are vulnerable. We work in partnership with chief executives and their senior teams to help deliver the vision that powers their businesses. Connecting financial communications to corporate affairs to public policy and employee engagement with the very best in design, film and digital capability, we successfully connect our clients with the financial community, the media, customers and employees with research, insight and expertise. International in outlook and reach, we have over 400 employees in 22 offices serving over 750 clients around the world. BCS Financial Group is a leading financial services company, provider of innovative and customizable high-touch and low-touch solutions for Russian, global and emerging markets. BCS takes an innovative approach to electronic trading with deep technological know-how, specialized back to front systems with full straight through processing and transparent pricing models. Our approach is built on a combination of capital markets expertise and technology enhanced by a strong financing capability. Our goal is twofold: firstly, to provide high quality capital market services to our clients that will allow them to capture unique investment opportunities; secondly, to strengthen our company and ensure its long-term financial standing. InterCapital Group is one of leading and the most advanced South & Eastern European financial services groups, established in Zagreb, Croatia in 2001 and 100 per cent owned by its management team. Our comprehensive range of financial services includes investment management of UCITS, private and discretionary funds, FI/FX/equity/derivatives brokerage, transition management services, trading and sales, corporate and insurance brokerage, custody services, research, M&A, hedging and financing advisory. Deloitte LLP offers professional services to the UK and European market, with over 14,400 people in 28 offices in the UK and Switzerland. We provide professional services and advice to many leading businesses, government departments and public sector bodies, and publish many influential studies and thought leadership pieces. Deloitte has a dedicated equity capital markets and PLC advisory team that focuses on both ECM and M&A services to clients and undertakes transactions that are typically subject to one or more of the Listing Rules, Prospectus Rules, AIM Rules and Takeover Code. We have advised on two thirds of recent Premium listings in London. Deloitte provides audit, tax, consulting, and financial advisory services to public and private clients spanning multiple industries. With a globally connected network of member firms in more than 150 countries with over 200,000 professionals, Deloitte brings world-class capabilities and high-quality service to clients, delivering the insights they need to address their most complex business challenges. Debevoise & Plimpton LLP is a premier law firm with market-leading practices and a global perspective. Our clients look to us to bring a distinctively high degree of quality, intensity and creativity to resolve legal challenges effectively and cost-efficiently. Approximately 650 lawyers work in eight offices across three continents, within integrated global practices, serving clients around the world. Debevoise’s teams in Europe and Russia work with some of the region’s largest blue-chip companies, both domestically and globally. The team is particularly adept in representing issuers in international offerings, listings on international exchanges, advising on ongoing compliance and corporate governance matters, privatizations, offerings of high-yield debt securities, and complex derivative products. Kazakhstan Stock Exchange (KASE) was founded in 1993 and remains the only stock exchange in the country. KASE is a commercial joint stock company, and as of March 01, 2015 has 51 shareholders. The National Bank of Kazakhstan holds the majority share of 50.1 %. Other shareholders include banks, pension funds, brokerage companies and other financial institutions and individuals. KASE provides trading infrastructure for almost all types of financial instruments that circulate on the organized financial market of Kazakhstan: the foreign currency market, the government securities market, the market of shares and corporate bonds, the repo operations market, the derivatives market. KASE is a member of the World Federation of Exchanges (WFE), Federation of Euro-Asian Stock Exchanges (FEAS) and other internal and international professional associations. Kazakhstan, being a leading financial market on the territory of Central Asia is aimed at developing as a financial center, also in the field of Islamic financing. KASE's goal in Kazakhstan is development of a strong and active internal capital market able to attract the attention of participants and prospective issuers from all regions of Central Asia.